Contains a proprietary blend of Fig Tree (Ficus carica) buds; Lime Tree (Tilia tomentosa) buds; Silver Birch (Betula verrucosa) seeds; Lepidolite; Hypothalamus. 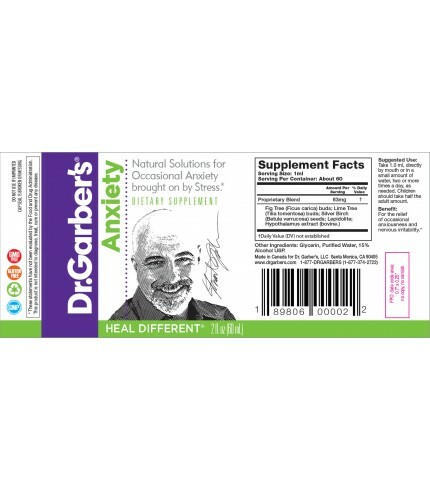 Suggested Use: Take Dr. Garber’s Natural Solutions® for Anxiety throughout the day as needed. Take 1.0 ml in a small amount of water twice daily. 1.0 ml twice daily will usually be sufficient although some will find that more frequent dosing of 4 times or more per day will have a better action. Still others just carry the bottle around with them and take an extra squirt whenever they feel the need to. You can even add several squirts into a small bottle of water and just sip it throughout the day! The amount can be safely increased so take it as often as you need to achieve the desired result. 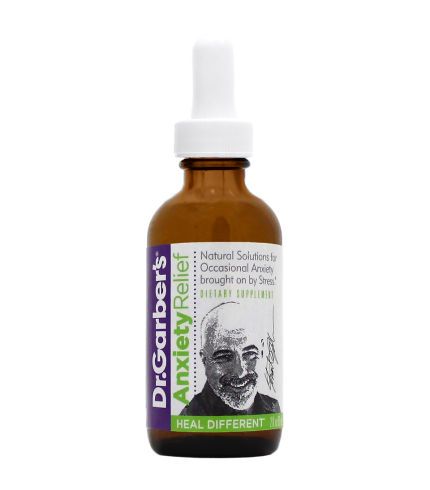 If it applies to your particular situation you may find that taking Dr. Garber’s Natural Solutions® for Depression as well will produce an even better result. Any of Dr. Garber’s formulas may be taken together at the same time. Just mix them together in a glass containing a small amount of water. Keep at room temperature amd away from direct sunlight. Does not have to be refrigerated. Our anticipated ship date is 11/15/2017. To thank you for your patience, order now, use Coupon Code: intro, and receive 20% off your order.